Guardian Cargo Logistics is the company for you if you are shipping your household or commercial goods to Hawaii. We specialize in Hawaii shipping and have a team of dedicated movers and representatives to back our customers. Guardian Cargo Logistics has years of experience under our belt which has allowed us to perfect the art of shipping to and from Hawaii. You don’t want to hire just any moving company for your Hawaii move; call the experts at Guardian Cargo Logistics. To put it simply, Guardian Cargo Logistics does Hawaii shipping right. Our team is well trained to handle a variety of household and commercial goods; you can rest easy knowing your items are in good hands. The choice is clear; Guardian Cargo Logistics has the experience, professionalism and knowledge to provide you with a successful Hawaii move. Not only that, but our relocation experts are there for you from day one to help guide you throughout your relocation. At Guardian Cargo Logistics we pride ourselves on providing superior customer service and a spectacular moving experience. We make shipping to Hawaii easy. Moving to Hawaii is a big deal. This process will require a lot of patience and planning. Not to worry; the team at Guardian Cargo Logistics will make sure you are more than ready for your Hawaii move. If you have any questions, comments or concerns during your move feel free to contact your Guardian relocation specialist; they will be more than happy to help you find a solution. At Guardian Cargo Logistics we go above and beyond for our customers. Book your move to Hawaii with us today. Guardian Hawaii utilizes the extensive knowledge of our relocation specialists in order to provide accurate quotes. We work closely with you in order to determine what your final cost will be. It is important to keep in mind that we will not know the exact total until your goods are delivered; but we stick to our policy of not practicing any hidden fees. Guardian Cargo Logistics lets our customers know up front all fees that may incur during their move; this will make way for a simple and hassle free Hawaii move. OIn order to receive an accurate quote it is important for you to provide your relocation specialist with a detailed inventory list. This will help them to give you a more accurate quote. Guardian Cargo Logistics also has on hand in-home estimators. We can send our estimators to your home to evaluate firsthand the goods you would like shipped. This is a great way to get as close as possible to an exact cost for your move. If you add or remove any items from your shipping list it is very important to inform your relocation specialist. Communication is the best way to stay on top of your move. Make your move from Arizona to Hawaii simple and easy with Guardian Cargo Logistics. We have several locations all over the U.S. for an easier moving experience. Our professional moving team has the resources and knowhow necessary to make your move to Hawaii seem like a local one. Relocating out of Arizona is simple with Guardian. No matter if you are moving household or commercial goods, you can count on Guardian Cargo Logistics to get the job done right. From beginning to end, our experts are there for you guiding you to a smooth relocation. Where in Hawaii you are moving to? Get started with the form on your top left. Send us the information and receive an affordable price today. Ship your goods to Hawaii with the experts at Guardian Cargo Logistics. Our teams of professionals have been in the moving business for several years, and we have picked up a few tricks here and there that will make your move easy and hassle free. The entire staff at Guardian Cargo Logistics undergoes extensive training and seminars to keep up to date with policies and to provide the best shipping experience for all of our clients. Guardian Cargo Logistics strives to satisfy the needs of our customers and we go above and beyond to make your experience enjoyable. Guardian Cargo Logistics not only has an excellent team of movers, but our relocation specialists are also a huge part of our success. They are available for all questions and concerns during your move; from beginning to end Guardian Cargo Logistics is there for you. Guardian representatives are highly knowledgeable in shipping and moving to Hawaii. Do not hesitate to contact your representative, they will be more than happy to help solve your dilemma. When you ship to Hawaii with Guardian Cargo Logistics you also receive top notch moving resources such as our up to date moving trucks, containers, and vessels. We want to make sure your relocation to Hawaii is a success, which is why we back our customers with top of the line resources. Move to Hawaii with Guardian Cargo Logistics; you will not be disappointed. If you are moving to Hawaii and are currently located in California, then you are in luck. 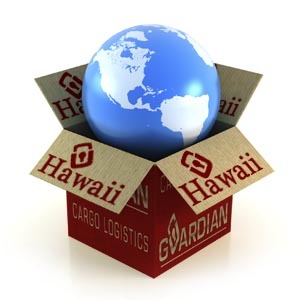 Guardian Cargo Logistics provides superior Hawaii shipping services from California. No matter the size of your household or commercial load, Guardian can easily ship it to Hawaii. Not only that, but we can make your Hawaii shipping experience enjoyable and stress free. Allow the professionals at Guardian Cargo Logistics to handle your move from California to Hawaii. Shipping to Hawaii is more comparable to an international move rather than a long distance move. For this reason it is highly important that you employ a reliable shipping company; Guardian Cargo Logistics are the professionals you want and need for a successful relocation to Hawaii. We provide customizable moving plans at competitive yet affordable rates. Move to Hawaii from California with ease; choose Guardian Cargo Logistics. Guardian Cargo Logistics makes shipping from Hawaii to California easy. Our professional teams are located both on the Hawaiian Islands and in California. This means a smoother transition for your household or commercial goods. Guardian will take care of your shipment from beginning to end without interference from an outside source. You can trust Guardian Cargo Logistics to get your move done right. At Guardian Cargo Logistics we specialize in shipping to and from Hawaii. 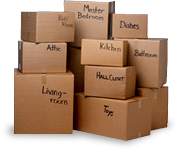 Our moving team has been in the business of relocating goods for several years now. Throughout our years, the Guardian team has been able to perfect the art of moving and in turn have been able to pass the savings and good service on to you, the customer. At Guardian Cargo Logistics we care about our customers, which is why we go above and beyond to make sure your shipping experience from Hawaii to California is stress free. The island life isn’t for everyone. If you want to explore the mainland or move back home, then Guardian Cargo Logistics is the shipping company for you. Stress free moving from Hawaii to the mainland is what we are all about. Guardian’s superior moving resources are all you need in order to have a successful relocation to the mainland. Allow the experts at Guardian Cargo Logistics to take care of your Hawaii move. You can’t beat our competitive prices and excellent services. Guardian Cargo Logistics is here for you. If you need to move off island to the mainland call us today. We have some good news for all of the locals on the Hawaiian Islands; Guardian Cargo Logistics is now offering our superior shipping services locally in Hawaii. There is no better way to move than with the trusted shipping services of Guardian Cargo Logistics. Our international and long distance shipping services our customers have known and loved can now be applied locally throughout the Hawaiian Islands. Guardian Cargo Logistics are the professionals you want and need for your local Hawaii move. Guardian Cargo Logistics has been trusted time and time again to relocate household and commercial goods on and off the Hawaiian Islands. Now we are focusing our moving services on local Hawaii moves so families and businesses alike can relocate with a reliable and professional company. Choose Guardian Cargo Logistics for your local Hawaii move, you will reap the benefits of shipping with the pros. If you are looking for a Honolulu moving company, search no further because Guardian Cargo Logistics is the company you want and need for a successful relocation. 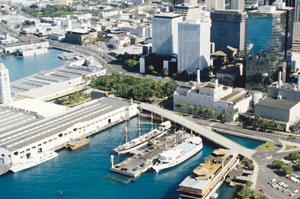 We provide superior shipping services both to and from Honolulu. When you relocate with Guardian you can guarantee that your belongings are in good hands. Guardian Cargo Logistics strives to make our customers happy. The team at Guardian Cargo Logistics work hard for our customers, and it pays off. Our customers come back to us time and time again to reap the benefits of working with such a dedicated and professional company. Make your move to Honolulu easy and enjoyable with Guardian Cargo Logistics. Call one of our relocation specialists today for your free Honolulu moving quote. Copyright © 2014 Guardian Cargo Logistics, Inc. All rights reserved.